Mr. Valentino's ascent from aspiring couturier to toast of the international fashion didn't go unnoticed. Mr. Valentino's ascent from aspiring couturier to toast of the international fashion didn't go unnoticed. The talented young designer's collections were eagerly covered by the fashion press—and it helped, of course, that so many of Mr. Valentino's early fans were so very fabulous. It didn't take long for reporters to start treating Mr. Valentino as a kind of celebrity, too. One of the earliest Valentino reviews was penned by Ernestine Carter, of London's Sunday Times. Her 1962 appraisal began, "This year's new prodigy goes by the name Valentino," and went on to note that "his showroom in the Guglielmo Marconi building is the most sumptuous in the whole of Rome and for his first collection for foreign buyers, he showed 120 models." (In those days, "models" meant "looks"—not the girls wearing them.) E. Massai of Women's Wear Daily was just as enthusiastic, writing in a review from July 19, 1962, that "the Roman designer won full praise for his egg-shaped coats and dresses as well as for good choice of colors, fabrics and trimmings." A year later, The New York Times' Patricia Peterson chimed in with a more ringing endorsement. "The Valentino collection was the undisputed numero uno," she wrote. "The runway show last night at Palazzo Pitti elevated the young designer, who is like a handsome 'sheik,' to top dog in the fashion world." 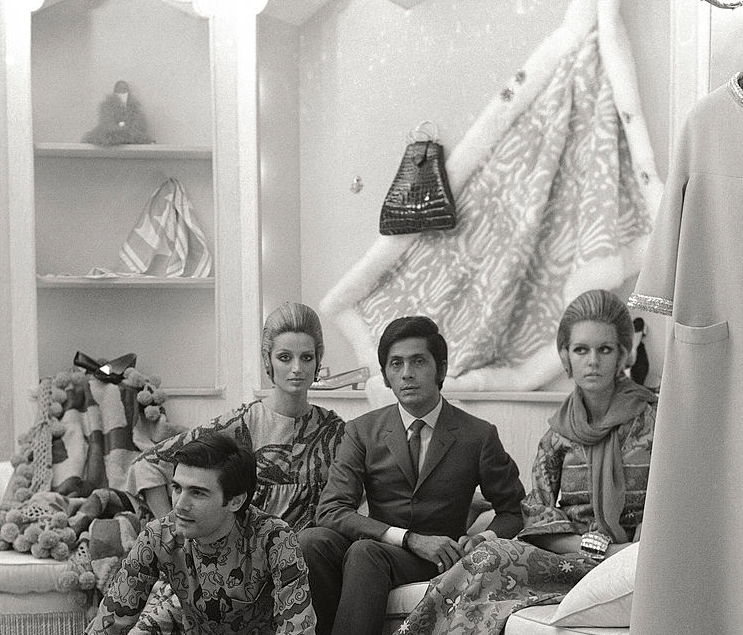 By 1968, Valentino's "top dog" status was affirmed by his many prominent customers. Women's Wear Daily breathlessly reported on the trips to the Valentino atelier made by aristocrats and stars, in the days before the house boasted any stand-alone stores. 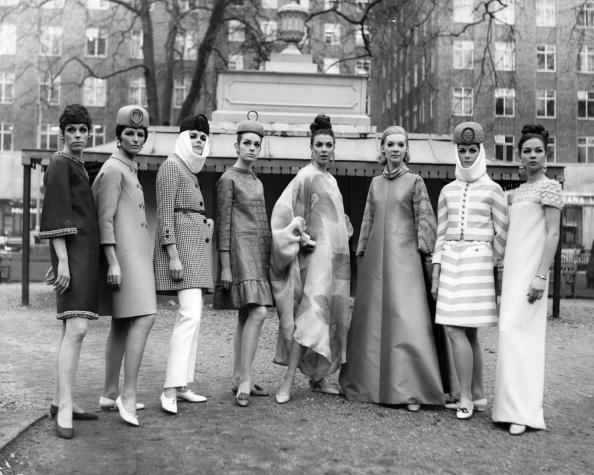 "Valentino just can't keep the ladies away," a WWD piece from March 1, 1968, proclaimed. "The Italian designer is starting to expand his Roman empire: he will open a Paris boutique mid-March, the first of what he hopes will be an international chain of shops. In the meantime," the item continues, "his faithful private clients have been flying to Rome to order from their pet couturier…Vicomtesse Jacqueline de Ribes and Mrs. Yul Brynner from Paris, Audrey Hepburn from Lausanne, Capucine from London and Marella Agnelli from Milan. They bought all the Valentino accessories—especially his lace stockings." Five years later, with the Valentino empire indeed growing, Mr. Valentino and Mr. Giammetti reversed course, and decided to start showing the pret-a-porter collection in Paris, which was then (as it remains) the center of commercial activity for luxury fashion. The Chicago Sun-Times' Patricia Shelton was on-hand for the first show, writing that "[Valentino] did it champagne-style all the way," and that it was "the first time during this ready-to-wear season [she had] heard any bravos during the show, and these came from people who have been attending most of the shows—not just friends who came to help him make a big noise in Paris."